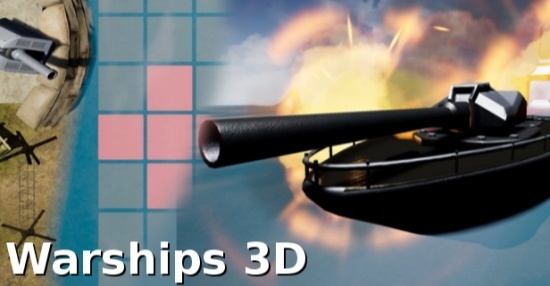 Warships 3D is a customizable battleship-like game done in 3D environment with animations and cutscenes. Players can define their own rules like map size, which ships are available and at which events what weapons will be granted to player(s). 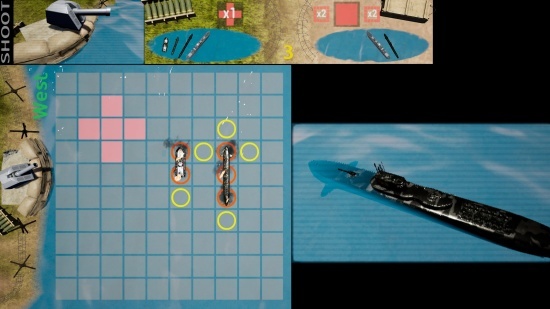 The game is played in 2 stages, in the first stage the player places his ships on the opponent's map, while in the second stage the player's objective is to find and destroy enemy ships on his own map.